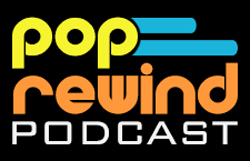 We’re back with another episode of the PopRewind Podcast! In this episode, we discuss some strange things we believed as kids. Lies our moms told us, cartoon logic, or even just weird thoughts that popped into our heads for one reason or another. Learn about Linz’s first love and Lee’s initial career ambitions. 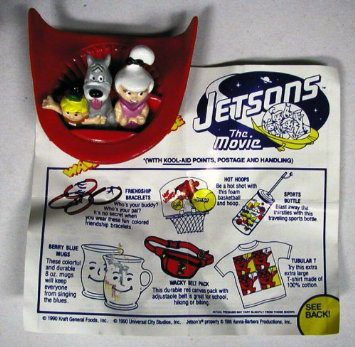 Jetsons: The Movie came out in 1990. Pictured above is the Kool-Aid premium you could get at theatres. Linz was bummed that there was no George in it. 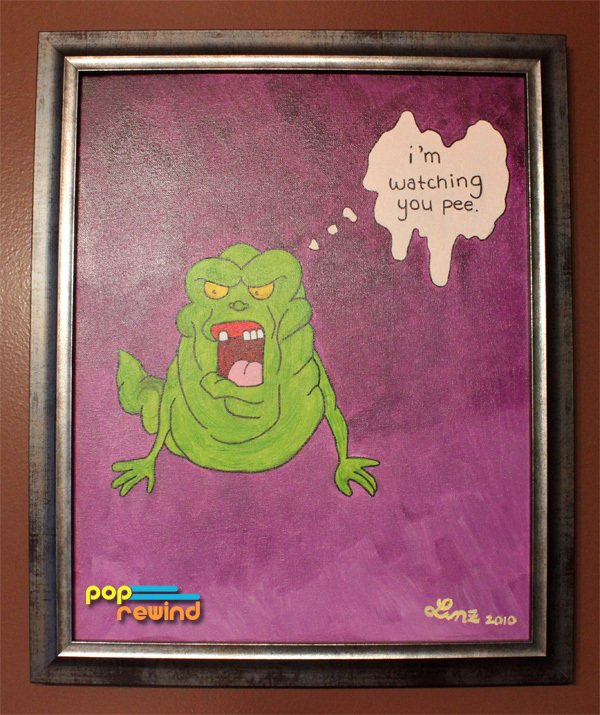 Linz made this painting of Slimer from the Ghostbusters watching you pee in homage to one of the strange things she believed as a kid. 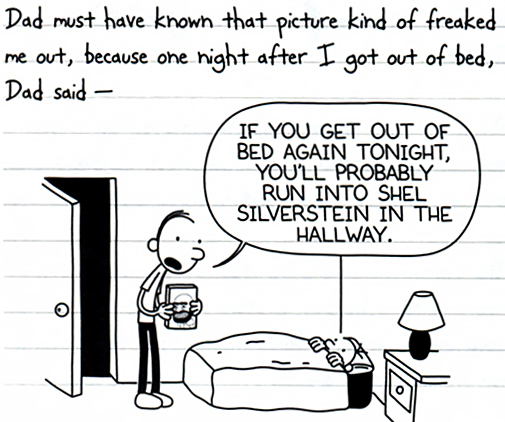 The Slimer thing reminded Lee of this scene from a Diary of a Wimpy Kid book. 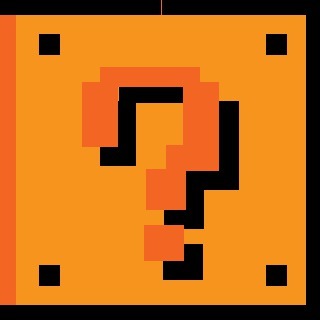 This episode’s question is a doozy… were those Koopa Paratroopas in the first Super Mario Bros. game turtles or ducks? Tweet us at @PopRewindOnline with #TeamTurtle or #TeamDuck! Linz might just win this time around because wtf, ducks? Really, Lee? And lastly, what are some strange things YOU believed as a kid? Be sure to let us know!